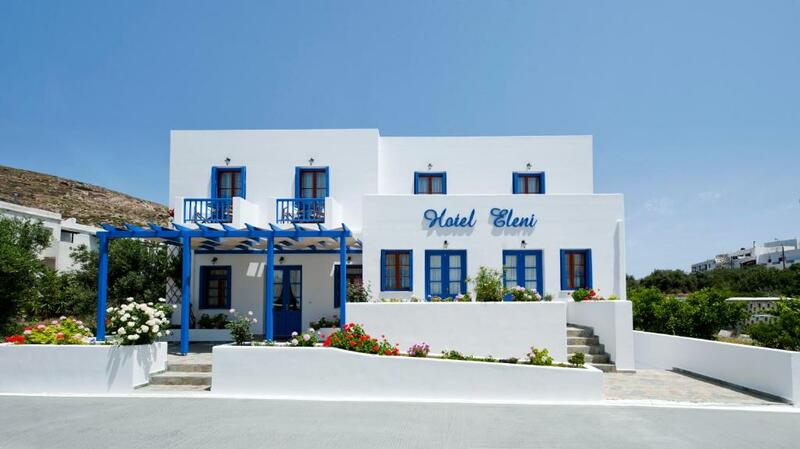 Lock in a great price for Hotel Eleni - rated 9.7 by recent guests. 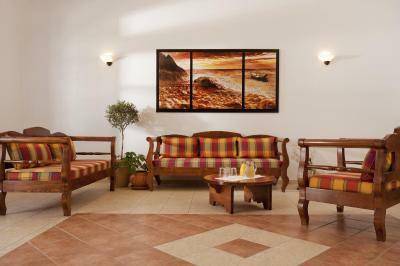 Very welcoming family hotel, best advise and travel tips to have a great time on the island. Memorable exprience with Eleni being an excellent hostess. 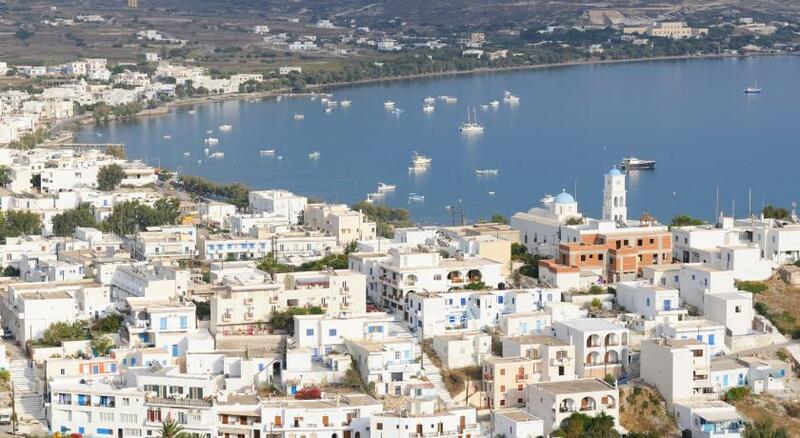 3min walk from Adamas Port with restaurants and mini markets. 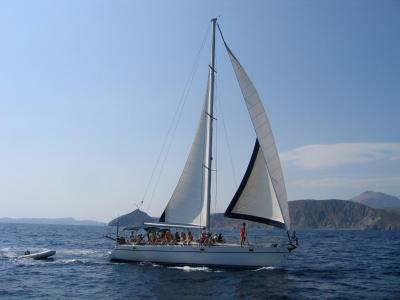 Location is ideal to stay and travel from on the Island. Everything! I came at 11.30pm at night on a last minute booking and Madam Eleni welcomed me with open arms. She upgraded me to a double bed room and made me feel at home (as I missed my stop in Sifnos, fell asleep on the ferry, made me end up at Milos). But best decision ever! She gave me coffee and cake for breakfast, orange juice and biscuits for lunch. 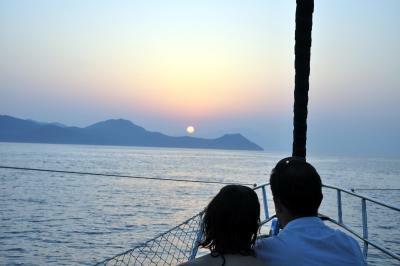 Even though I felt so lost, she comforted me and I truly enjoyed my stay at Eleni Hotel! Lady Eleni is an excellent hostess. She’s amazing. And the breakfast is delicious! Everything is really good! Wonderfully friendly hosts! Eleni and her son were very nice people. 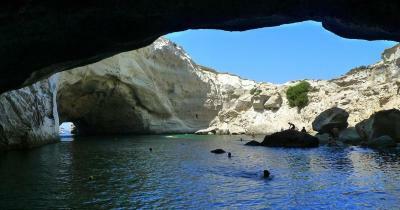 We had a very nice stay at beautiful Milos. Don’t skip the breakfast, it’s delicious! The hotel is well located near the harbor, very calm, very clean. But the most incredible part was to meet Eleni, she is the owner and is there to welcome and help you, she is incredible ! She made our trip definitely unforgettable, thank you Eleni !!! Yes, I would recommend this place for people travelling on a budget and would like a clean and friendly environment that is only a short walk from the main square. 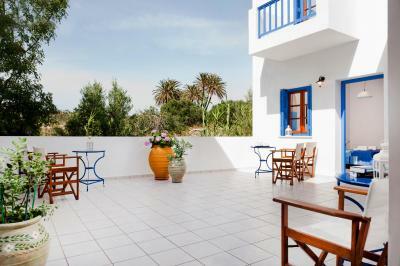 The location is perfect, close to Adamas port and restaurants (3min walking) but in a quite place, perfect to rest. The hotel was very clean and comfy. But the best of all was Eleni, who took care of us from the reservation until the end. She is lovely! Amazing, the staff is great! We had a wonderful time there and they do everything to help. Highly recommended! Location was really good, room a good size and very clean, and Eleni was the most lovely hostess, friendly helpful and very accomodating to our needs. Family-run Eleni Hotel is located in Adamantas, only 50 yards from the sandy beach of Lagada and 250 yards from the port with its cafes, restaurants and bars. Free Wi-Fi access is available throughout. 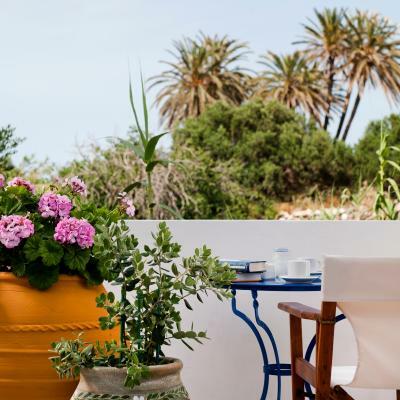 Hotel Eleni’s Cycladic-style rooms have private terraces or balconies with views to the village and the surrounding countryside and bloomed flower pots. Each is comfortable with an anatomic mattress, and includes a fridge, safe, desk and a bathroom with hairdryer. A plasma TV with satellite channels is included. 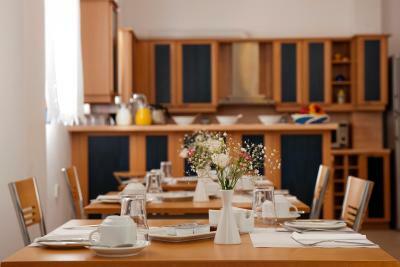 A breakfast room is featured on site, and room service is also provided during the day. A reception hall with TV is at guests’ disposal. 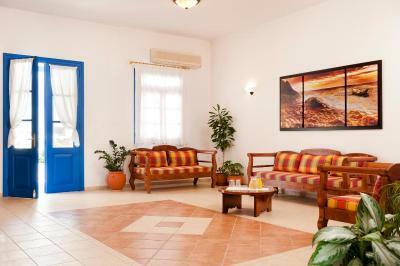 Milos Airport is 3.1 miles from Eleni Hotel. Taxi service and car hire can be arranged through reception. 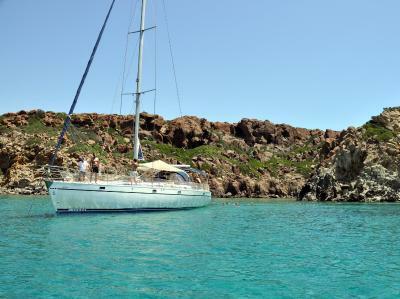 Day trips to the island’s many beaches can be booked with Eleni’s private boat. 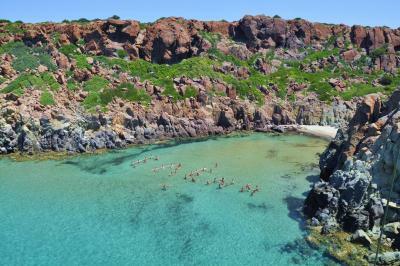 Papikinou and Frangomnimata beaches are within walking distance. This is our guests' favourite part of Adamas, according to independent reviews. 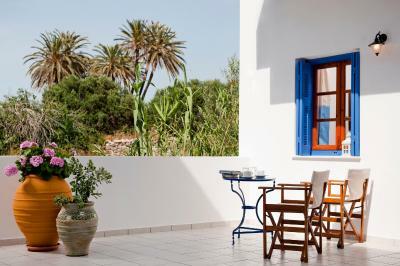 This property also has one of the best-rated locations in Adamas! Guests are happier about it compared to other properties in the area. 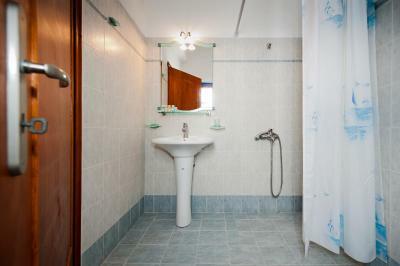 This property is also rated for the best value in Adamas! Guests are getting more for their money when compared to other properties in this city. 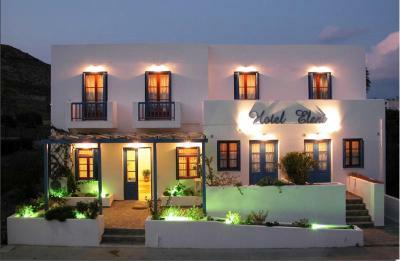 Hotel Eleni has been welcoming Booking.com guests since 12 Sept 2011. 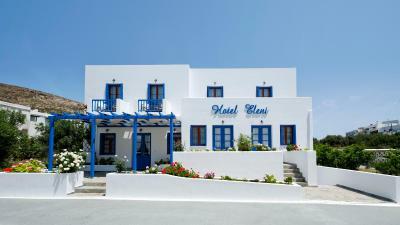 When would you like to stay at Hotel Eleni? This air-conditioned room comes with a private balcony or terrace. It has a plasma TV with satellite channels and a hairdryer. House rules Hotel Eleni takes special requests - add in the next step! Hotel Eleni accepts these cards and reserves the right to temporarily hold an amount prior to arrival. The reception stays open from 8:00 in the morning until midnight. In case your arrival and check-in is due after midnight, a member of staff will be there at the reception hall to welcome you. Staff went above and beyond. She was extremely welcoming and helpful. The space was a bit tight and I prefer to have a small kitchenette. Eleni is a great host, she is knowledgeable, friendly and you can count in her to give you tips on where to eat to where to go visit, we enjoyed our stay very much! Beds are very firm, but that is the Greek way. We had no tea and coffee making facilities in our room. Our air conditioner kept cutting in and out consistently. Location perfect. 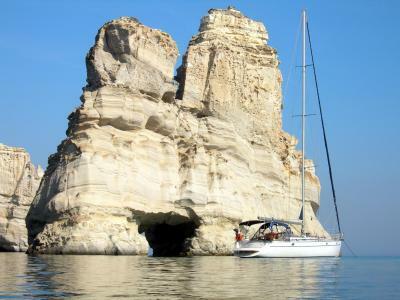 Eleni is a fantastic host and a great ambassador for Milos. She wants you to have a great stay on her island and gives great information and advice. Her kindness and thoughtfulness extended to our departure, giving us free croissants for our early ferry trip. We won't forget our stay and will be back! Eleni was an amazing host. Very accommodating with amazing suggestions. She told us on the Tuesday morning that we should leave the island asap. We followed her suggestions and learned that the boats only started 5 days later. She didn't even charge us for the night as we left earlier.